The Robert D. Dixon Founders’ Award recognizes a community banker for that person’s dedication and devotion to the community banking community in Iowa. Factors considered in selecting the Founders' Award recipient include: dedication to community banking and community, involvement in Community Bankers of Iowa and ICBA, and the industry in general. This is a great opportunity to give well deserved recognition to a great Iowa community banker. NOTE: Only CBI Bank Members may nominate or be nominated for the Founders' Award. All nominations must be received no later than May 24, 2019. Enter the name of your nominee. Attach any additional pages, resumes, or other information, documentation and support. 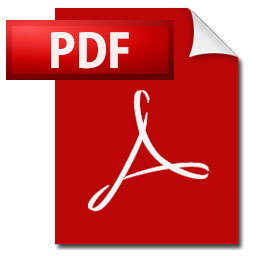 Files are accepted in the following formats: PDF, Word Doc (.doc or .docx), TXT, or RTF. ​Compressed files containing multiple documents can be accepted in ZIP or RAR format. All nominations must be received no later than May 24, 2019.